Eliminating symptoms associated with SIBO, IBS and most digestive issues, can take alot of work, and alot of time. Many people get frustrated by, and confused as to what to do, what to take, what to eat or even how to monitor symptoms to tell if it’s still there or not. There is a delicate balance to this process of treating, which involves destroying the bad bacteria, repopulating the good bacteria and preventing overgrowth from occuring. Our new SIBO bundle is designed for you to take back your health and get your digestion under control again (even in the toughest of cases that seem hopeless). We’ve even outlined a gentle step-by-step plan below to help you see the best results - not only during an elimination phase, but for prevention too. Please consult with a nutritional genomics specialist and/or functional medicine doctor before starting any new program! EcoPhage: The bacteriophages in Body Ecology’s EcoPhage wipe out pathogens and clean up your gut to restore order and promote a healthy immune system. AND, it hugely supports SIBO, IBS, and UTI recovery, heart and colon health and even lowers cholesterol! Bifidus: Body Ecology's Bifidus Power Blend has been carefully crafted to feature four probiotic strains of bifidobacteria. Bifidobacteria are native to the gut of a healthy, breastfed baby, but their numbers gradually decline as you age – and not without consequence! These good-for-you bacteria help to tone the gut barrier and cultivate a strong immune system. Bifidus Probiotic Capsules offer reliable gut support, intended for convenient, daily use. Filled with beneficial bacteria, a Bifidus Probiotic Capsule may be used on the spot to relieve gas, bloating, constipation, diarrhea, and stomach pain after a meal. When taken consistently, a daily probiotic capsule that inoculates the gut can help to strengthen immunity. A stronger immune system supported by a healthy gut may help to reduce the risk of infection. Research suggests that taking probiotics may help to naturally lower cholesterol, stabilize blood sugar, relieve a leaky gut, minimize systemic inflammation, and support healthy weight loss. Access the tabs below to read about the products included in your SIBO Bundle. ECOPHAGE: A METABOLIC SUPERPOWER FOR BENEFICIAL BACTERIA IN YOUR GUT. What IF there was a product that could — within a few hours or days – literally wipe out the bacteria in your digestive tract that has been causing most of your digestive problems? Hold onto your hat! Introducing EcoPhage, a new product you’ll absolutely want to add to your health arsenal to support YOUR healthy gut. Our newest “phage product is like a superpower cocktail, aiding everything from digestive health to heart health! Anyone who suffers from SIBO or digestive disorders will benefit greatly from this cutting-edge new product, based on years of research and education. If left untreated, pervasive digestion issues like IBS and SIBO can have devastating effects on your quality of life. For those navigating SIBO, specifically, it’s important to remember that SIBO is often the sign of a problem... not the problem itself. And to get rid of SIBO, you may need to correct a deeper imbalance. FACT #2: Bacteriophages are especially beneficial when used in conjunction with a probiotic, because they act like advanced troops to clear the way for beneficial bacteria to flourish! EcoPhage is here to help you LIVE BETTER. Abedon ST, Kuhl SJ, Blasdel BG, et al. Phage treatment of human infections. Bacteriophage. 2011;1(2):66-85. Bruynoghe R, and J. Maisin. Essais de thérapeutique au moyen du bacteriophage. C. R. Soc. Biol. .1921;85:1120-1. Pelfrene E, Willebrand E, Cavaleiro Sanches A, et al. Bacteriophage therapy: a regulatory perspective. Journal of Antimicrobial Chemotherapy. 2016;71(8):2071-4. Supplier Internal Study. A Probiotic-Enhancing Prebiotic. Data on File. 2016. Supplier Internal Study. Bacteriophage Cocktail Mice Clinical Trials. Data on File. 2016. Not all probiotics are created equal. 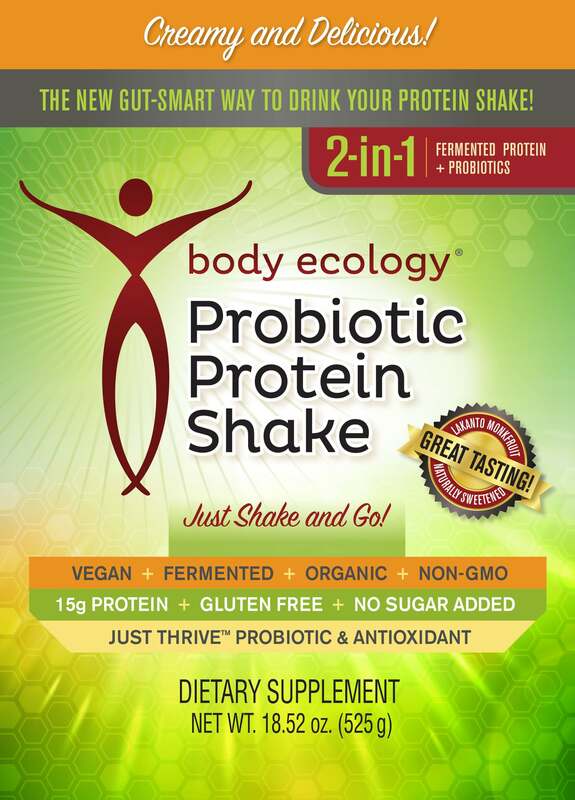 Body Ecology's Bifidus Power Blend has been carefully crafted to feature four probiotic strains of bifidobacteria. Bifidobacteria are native to the gut of a healthy, breastfed baby, but their numbers gradually decline as you age – and not without consequence! One month after birth, bifidobacteria dominate a healthy, breastfed baby's gut – making up as much as 91 percent of the microbes that live there. 1 These good-for-you bacteria help to tone the gut barrier and cultivate a strong immune system. But unfortunately, not everyone starts out with a microbial ecosystem ruled by bifidobacteria. Remember, bifidobacteria fight inflammation and keep the gut healthy. They're essential in warding off infection and may even protect against the development of disease. This is but one reason why probiotics become increasingly important with each passing year. As you age, a high-quality probiotic like the Bifidus Power Blend can support both your immune system and your digestion. When the Bifidus Power Blend becomes a regular part of your day, you'll have the support you need to fight off infections and clean up cellular waste. 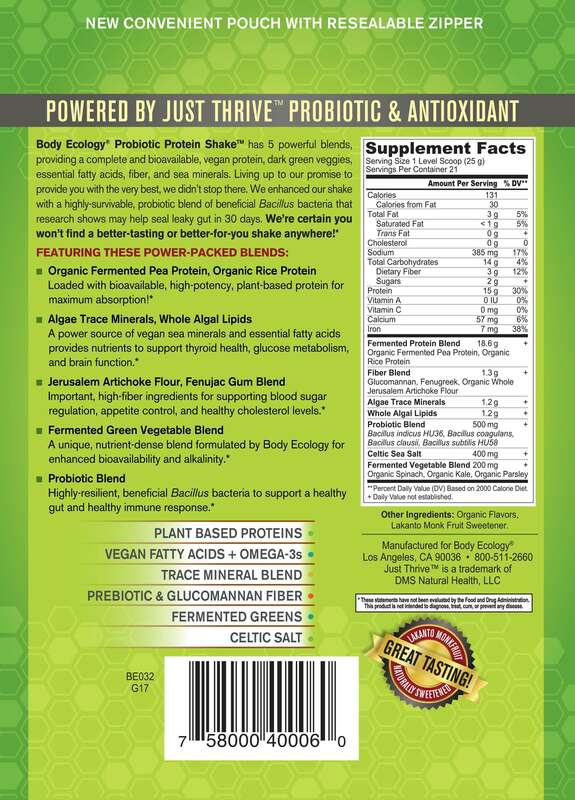 You can rest assured that the Bifidus Power Blend has been expertly formulated to include only the very best probiotic strains for your health. As the Principle of Uniqueness reminds us, you know your body, and if you listen close enough, you will intuitively understand what your body needs to function at its best. Relying on this natural "gut feeling" to nurture and improve your health is not to be underestimated. If you have digestive issues, large or small, or if you find yourself dragging through your day more often than you used to, a daily probiotic can help to correct your course. Lactobacillus salivarius - Research from nearly 20 years ago shows that L. salivarius can stop the growth of Helicobacter pylori, the bug responsible for stomach ulcers and stomach pain.17 L. salivarius makes antibacterial proteins that kill disease-causing microbes and gives it a competitive edge in your gut.18 This means that it does good things for your inner ecosystem, pushing out the bad guys and setting up camp for the good. L. salivarius also stimulates a protective immune response in the gut and generates short-chain fatty acids, which are soothing and anti-inflammatory. The importance of a healthy gut, and how gut health can affect all areas of your life, can't be overstated. Grasping this truth — that the gut is the source — can bring about an empowering and often radical change. "You have control over what is happening in your gut. The microbiome is evolving every minute, and it's easily manipulated," says Donna Gates, gut health pioneer and creator of The Body Ecology Diet. "People have said for a long time that disease begins in the gut. Of course, health begins there as well. That's very important to understand because you can fix your gut, and when you do, then you can radiate health. This is always the first place to start: Fix your gut." Martinez, Fabio Andres Castillo, et al. "Bacteriocin production by Bifidobacterium spp. A review." Biotechnology Advances 31.4 (2013): 482-488. Lau, Amy Sie-Yik, Jin-Zhong Xiao, and Min-Tze Liong. "Bifidobacterium for Infants: Essence and Efficacy." Beneficial Microorganisms in Medical and Health Applications. Springer International Publishing, 2015. 39-72. Saez-Lara, Maria Jose, et al. "The role of probiotic lactic acid bacteria and bifidobacteria in the prevention and treatment of inflammatory bowel disease and other related diseases: a systematic review of randomized human clinical trials." BioMed Research International 2015 (2015). Shin, Hea Soon, et al. "Hypocholesterolemic effect of sonication-killed Bifidobacterium longum isolated from healthy adult Koreans in high cholesterol fed rats." Archives of Pharmacal Research 33.9 (2010): 1425-1431. Childs, C. E., et al. "Bifidobacterium longum bv. infantis CCUG 52486 combined with gluco-oligosaccharide significantly reduces the duration of self-reported cold and flu-like symptoms among healthy older adults after seasonal influenza vaccination." Proceedings of the Nutrition Society 72.OCE1 (2013): E10. Bercik, P., et al. "The anxiolytic effect of Bifidobacterium longum NCC3001 involves vagal pathways for gut–brain communication." Neurogastroenterology & Motility 23.12 (2011): 1132-1139. Spaiser, Samuel J., et al. "Lactobacillus gasseri KS-13, Bifidobacterium bifidum G9-1, and Bifidobacterium longum MM-2 Ingestion Induces a Less Inflammatory Cytokine Profile and a Potentially Beneficial Shift in Gut Microbiota in Older Adults: A Randomized, Double-Blind, Placebo-Controlled, Crossover Study." Journal of the American College of Nutrition 34.6 (2015): 459-469. Guglielmetti, Simone, et al. "Randomised clinical trial: Bifidobacterium bifidum MIMBb75 significantly alleviates irritable bowel syndrome and improves quality of life––a double-blind, placebo-controlled study." Alimentary Pharmacology & Therapeutics 33.10 (2011): 1123-1132. Kim, Ji Yeun, et al. "Effect of probiotic mix (Bifidobacterium bifidum, Bifidobacterium lactis, Lactobacillus acidophilus) in the primary prevention of eczema: a double-blind, randomized, placebo-controlled trial." Pediatric Allergy and Immunology 21.2p2 (2010): e386-e393. Bartosch, Sabine, et al. "Microbiological effects of consuming a synbiotic containing Bifidobacterium bifidum, Bifidobacterium lactis, and oligofructose in elderly persons, determined by real-time polymerase chain reaction and counting of viable bacteria." Clinical Infectious Diseases 40.1 (2005): 28-37. Tabbers, M. M., et al. "Is Bifidobacterium breve effective in the treatment of childhood constipation? Results from a pilot study." Nutrition Journal 10.1 (2011): 1. Kondo, Shizuki, et al. "Antiobesity effects of Bifidobacterium breve strain B-3 supplementation in a mouse model with high-fat diet-induced obesity." Bioscience, Biotechnology, and Biochemistry 74.8 (2010): 1656-1661. Mortaz, Esmaeil, et al. "Anti-Inflammatory Effects of Lactobacillus Rahmnosus and Bifidobacterium Breve on Cigarette Smoke Activated Human Macrophages." PloS One 10.8 (2015): e0136455. Groeger, David, et al. "Bifidobacterium infantis 35624 modulates host inflammatory processes beyond the gut." Gut Microbes 4.4 (2013): 325-339. Smecuol, Edgardo, et al. "Exploratory, randomized, double-blind, placebo-controlled study on the effects of Bifidobacterium infantis natren life start strain super strain in active celiac disease." Journal of Clinical Gastroenterology 47.2 (2013): 139-147. Avía, Y., et al. "Lactic acidmediated suppression of Helicobacter pylori by the oral administration of Lactobacillus salivarius as a probiotic in a gnotobiotic murine model." Am J Gastroenterol 93 (1998): 2097-2101. Messaoudi, S., et al. "Lactobacillus salivarius: bacteriocin and probiotic activity." Food Microbiology 36.2 (2013): 296-304. Everard, Amandine, et al. "Saccharomyces boulardii administration changes gut microbiota and reduces hepatic steatosis, low-grade inflammation, and fat mass in obese and type 2 diabetic db/db mice." MBio 5.3 (2014): e01011-14. Pontier-Bres, Rodolphe, et al. "The Saccharomyces boulardii CNCM I-745 Strain Shows Protective Effects against the B. anthracis LT Toxin." Toxins 7.11 (2015): 4455-4467.